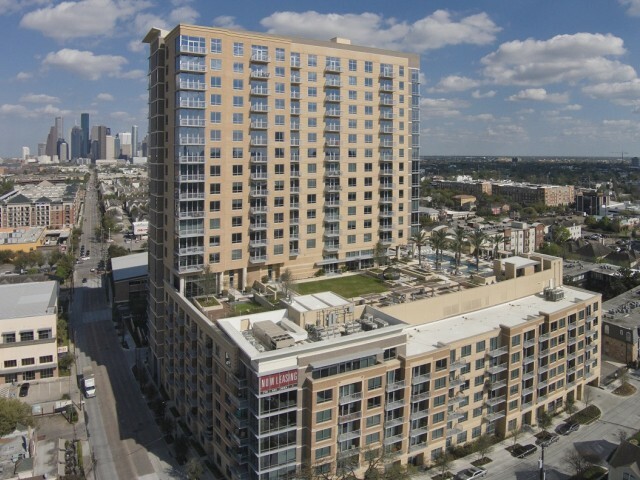 Rising twenty-one stories over the banks of Buffalo Bayou, The Sovereign at Regent Square is a modern high rise oasis and the perfect urban home featuring majestic views and the ultimate in comfort and convenience. 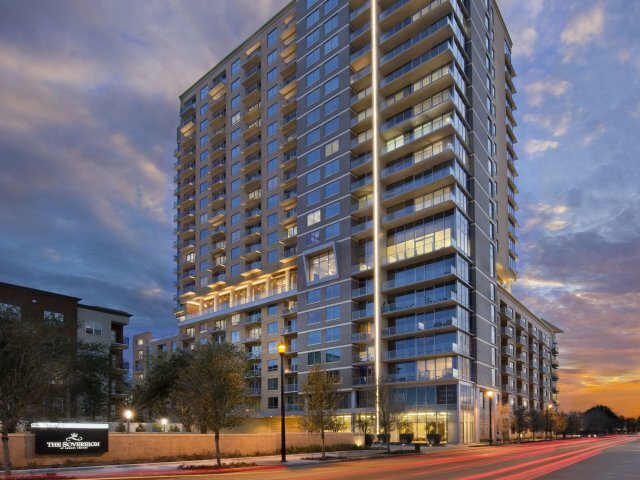 Towering over Allen Parkway, River Oaks and Downtown, The Sovereign is the first proud resident of Regent Square, a visionary, master-planned city district destined to become the center of Houston’s vibrant urban scene. 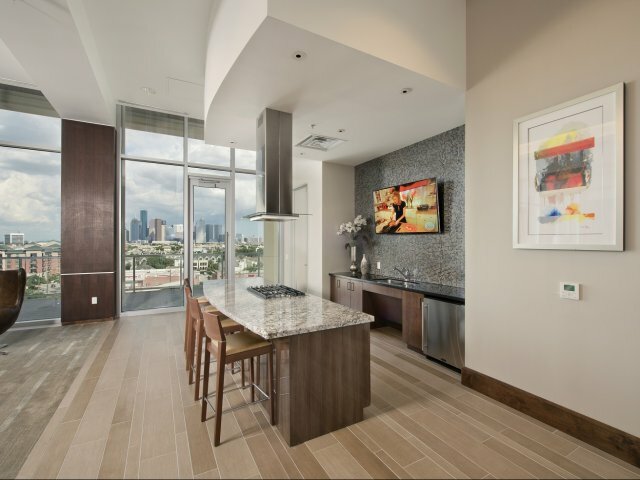 Premiering world-class amenities, smart green features and a supreme collection of floor plans from studios to two-bedroom residences, The Sovereign is Houston’s new landmark for modern luxury apartments. 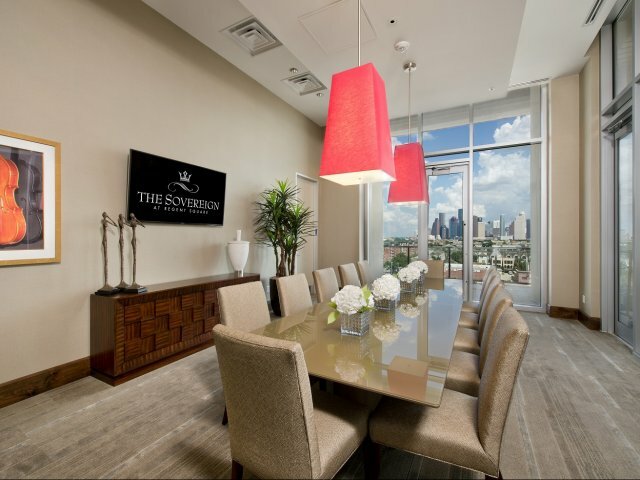 The Sovereign Club encompasses the entire eighth floor, offering 42,000 square feet of amenity space unlike any other in Houston. 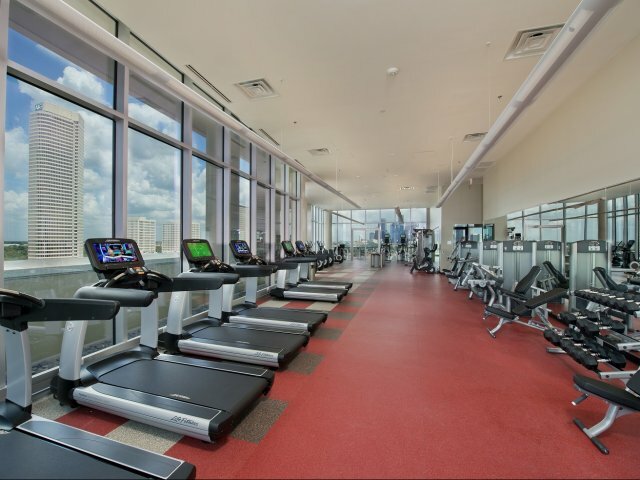 Enjoy a signature collection of amenities and sweeping Downtown and Galleria views. 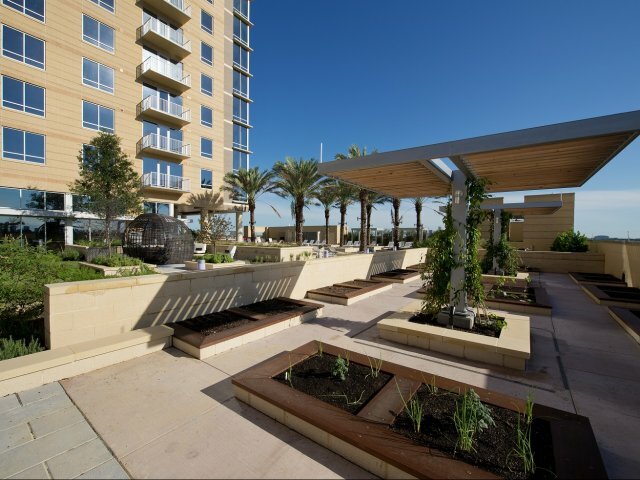 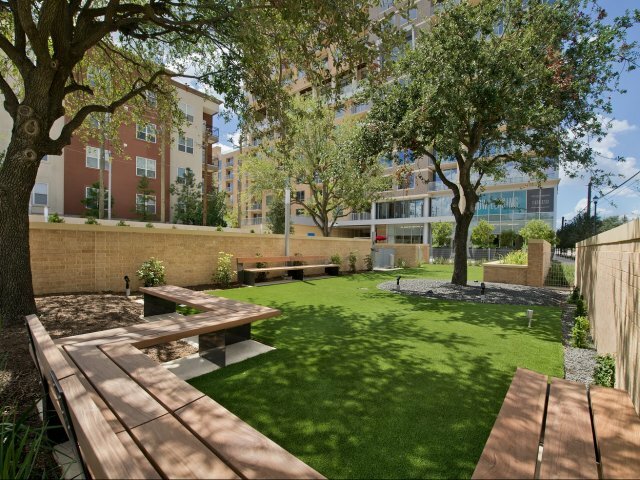 At our Houston luxury apartments, outdoor living is taken to a new level with a host of contemporary features and an abundance of space to relax or entertain — like royalty at The Sovereign. 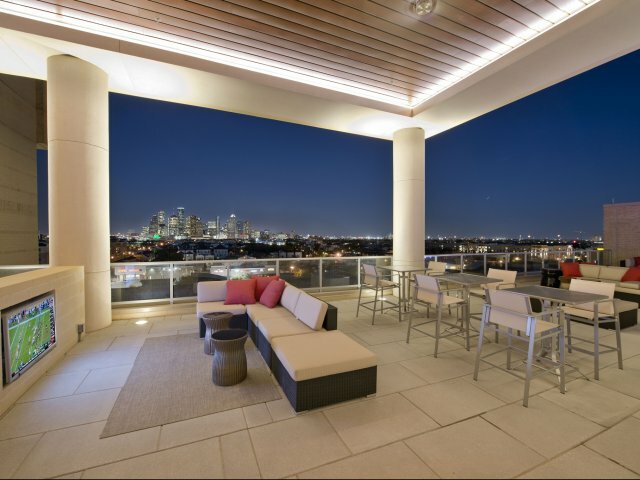 Start your day with the sun rising over the downtown skyline. 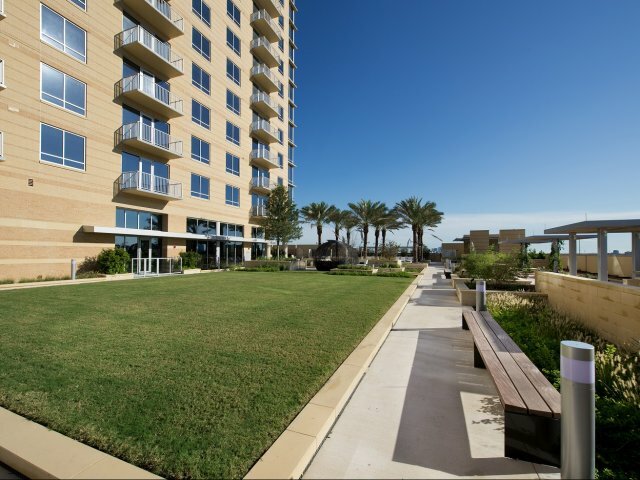 You’ll have extra time for that second cup of coffee while you take in the view from your own regal residence. 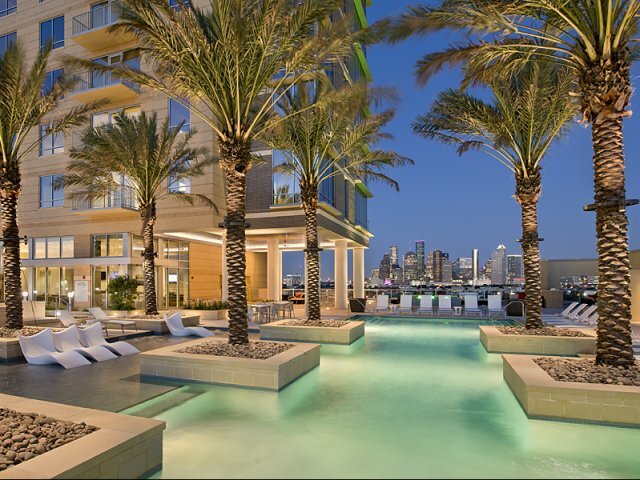 And every evening, the setting sun puts on a show for all to enjoy from our lush and lavish pool deck. 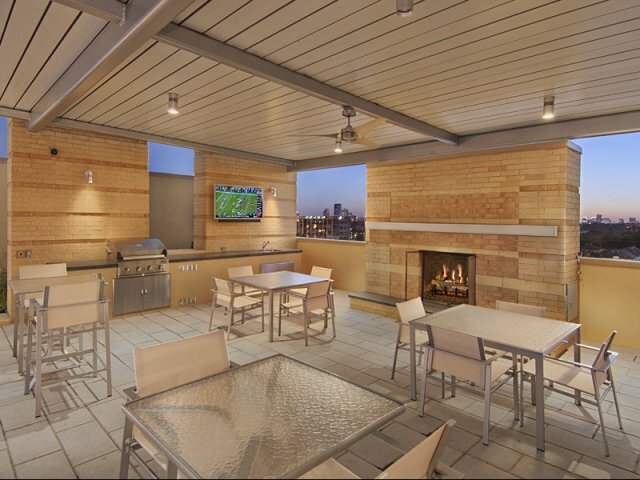 Rule your world and seize the day at The Sovereign at Regent Square.